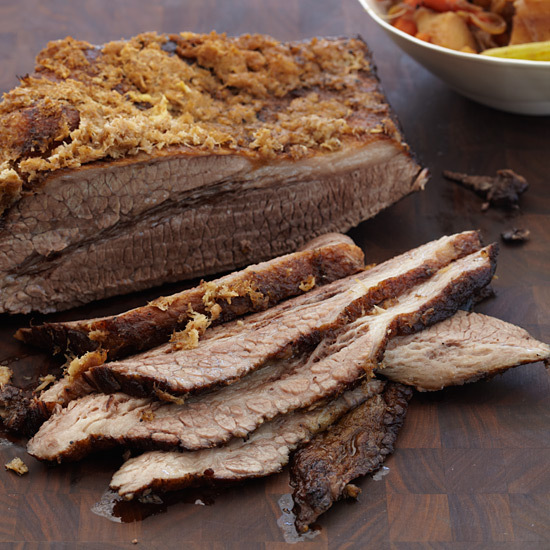 Brisket can be cooked in a number of ways, from smoking the meat to slow-cooking it until it's super tender. 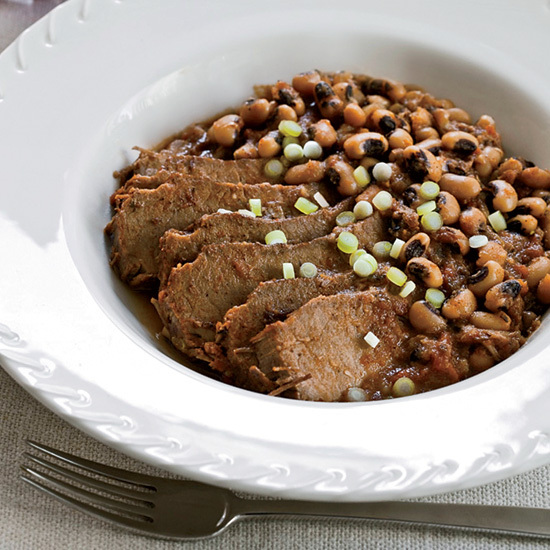 Brisket is also delicious in hearty stews, spicy tacos and barbecue sandwiches. 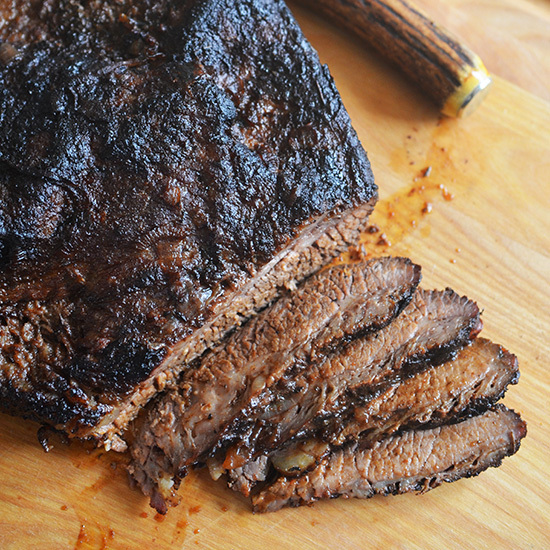 From a sweet-and-sour brisket to a red-wine-braised beef, here are fantastic brisket recipes. 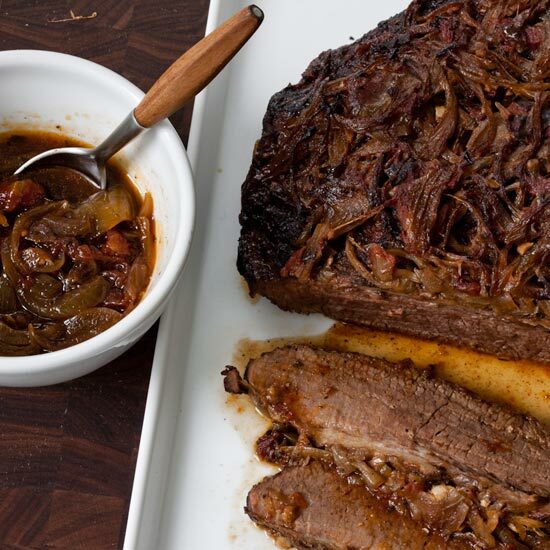 This brisket recipe is from Jessamyn Rodriguez, the founder and CEO of Hot Bread Kitchen, the New York–based social enterprise that helps immigrant women and others launch careers and food businesses. She calls the brisket her “crowning glory,” and says the secret is cooking it low and slow. 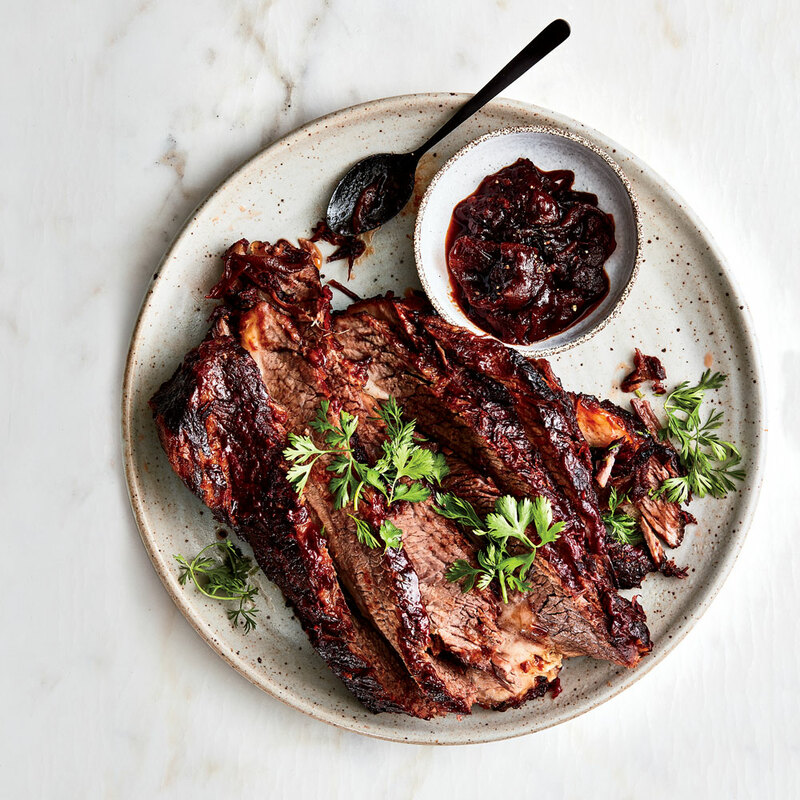 For extra-tender brisket, cookbook author Julia Turshen cleverly uses a damp piece of crumpled parchment as a protective blanket for the meat to prevent it from drying out while it roasts. "In this case, a wet blanket is a good thing!" she says. 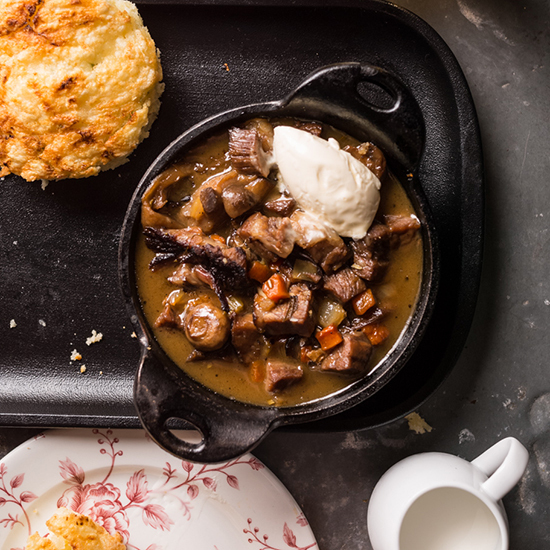 The beef for this simple stew marinates in red wine, garlic, sage and rosemary to help make it tender. Served with a dollop of cream, it's an extremely luscious dish. 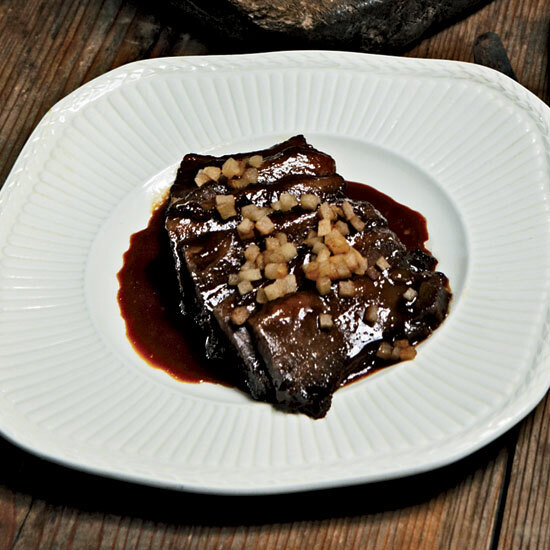 Both Frank Falcinelli and Frank Castronovo had early experiences with sauerbraten, the German braised brisket. Castronovo sampled it on trips to Germany; Falcinelli had it at the German deli where he worked as a teenager. The terrific recipe they ultimately perfected is both very sweet and very sour, made with raisins, apples, red wine vinegar and red wine. 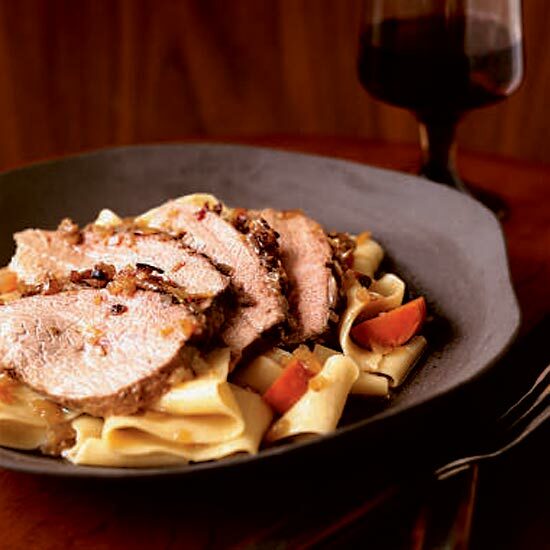 Pairing Suggestion: The concentrated garlic, tomato and beef flavors in this rich dish require an equally intense red. Consider a spicy and aromatic Italian Barolo. Letting the brisket rest in the pan juices for a half hour makes it especially moist. This is Russ Pillar's modern take on his grandmother's recipe. He experimented with a mix of spices and unexpected ingredients (such as Coca-Cola) to re-create her dish and came up with this version. Chef Julian Medina of NYC's Toloache serves a special menu at Passover that includes his tender, delicious matzo tortillas. 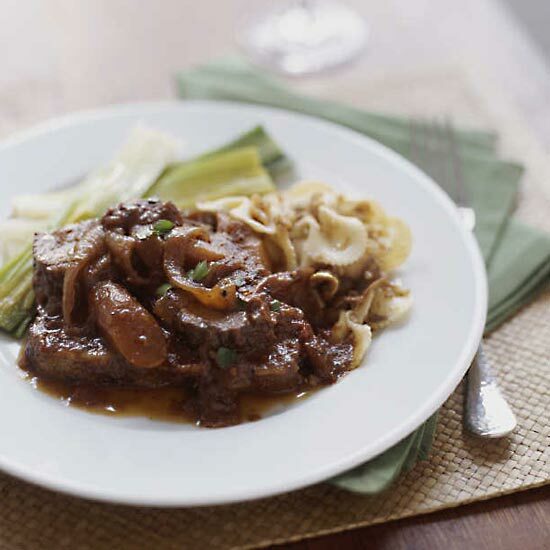 He fills the tortillas with luscious braised brisket, flavored with smoky chipotle and tomato. 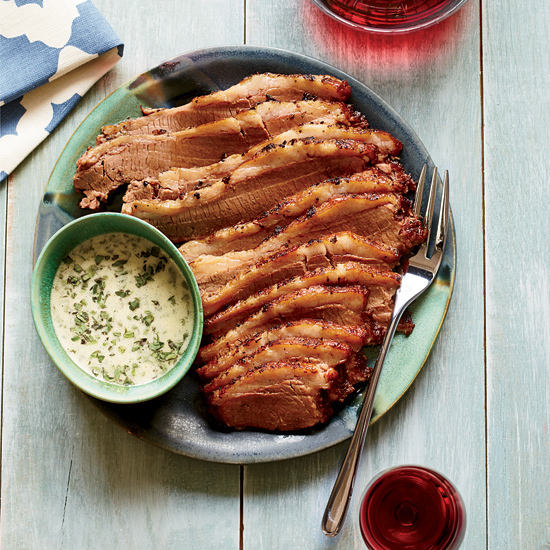 This brisket gets rubbed with seasonings, braised and roasted so it's super-tender with a crisp crust; it goes perfectly with the garlicky oregano sauce. 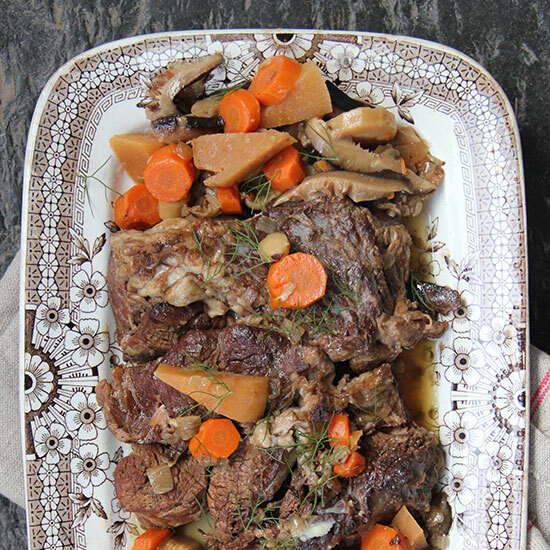 Choose a light or dark beer of your choice to add flavor and depth to the beef brisket and root vegetables. 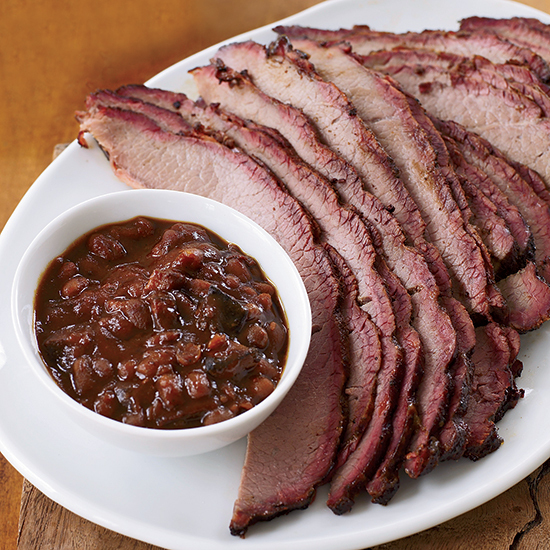 On its own, this applewood-smoked brisket is luscious and much easier to make at home than most barbecued meats. Michael Symon turns it into a fun sandwich, topped with cilantro and pickled vegetables to cut the richness of the meat. Andrew Zimmern likes to roast his brisket whole, because the fatty nose of the wide end will help to keep the roast moist. 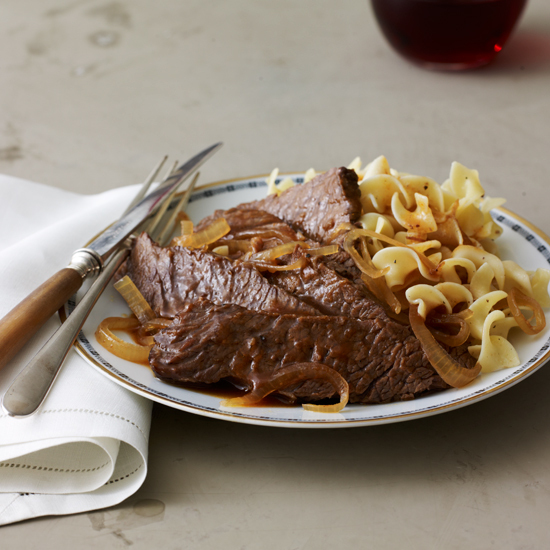 This juicy brisket also freezes well when cooked and bagged with the vegetables and liquid, so even a small family can make it.